Celebration of Embodiment Earth Day Festival! Five days and six nights of Communing with the Land and Sound, our Bodies as Instruments and Makers. 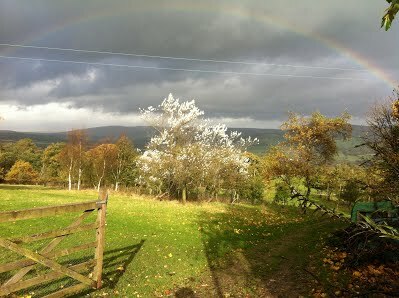 A Fully residential Workshop Intensive on a Bio-Dynamic Farm, fed by all aspects of creation. details here: An Easter and Earth Day Festival of Life with and on Earth! “Will ye craft instruments for stillness and peace of being…? A three day fully residential OR non-residential workshop and retreat to forge an instrument and allow yourself to enter and be embraced by a homecoming like no other. One that invites you home to yourself and a whole new way of being with yourself and the future you’d like to be co-creating. This workshop also offers an additional day* of Sound Weaving and Co-Creation. Begin the process of becoming a sounding instrument and engage with more of the elements of creation through sound as we go out into the wider landscpaes of southern Donegal, Leitrim and Sligo. Whether you are a native to Ireland or not, this land, this place, like few others, has allowed us and the participants in our workshops to truly arrive at a new land in their own lives…a place we have come to call Home. *This day is also open to those who have crafted bowls or bells with us in previous years. Come and spend three glorious summer days and two nights living close to the land as you bring a hand forged sounding instrument into existence. These days invite a celebration! We will come together and celebrate the community of bowl makers, the sound beings and the land that is Villa Farm in Staunton, Gloucestershire. Right in the very heart of England we will create a forging community … a central smithing fire of sound in a rural Enlish village! 3 or 4 days camp at the edge of the beautiful Ilkley mo ors. Fell Edge Farm – cradled by and looking out over the landscape of the Yorkshire moors – has opened its arms to welcome Resounding Earth to the north. Fell Edge Farm has the facility for camping on the beautiful extensive land, that invites a deeper residential retreat experience, close to the elements – with evening camp fires cooking, stories and music. We will work in co-creation with the landscape and the elements. A glorious rainbow confirmed our agreement to bring the crafting of bowls to this land. What vibrations can we co-create here at midsummer? A non-refundable deposit of £100 will secure your place. Camping fee £10 per night – includes use of kitchen facilities / barn. This is a rare chance to work with the designer and master craftsman who envisioned and designed the brass and bronze Tone Gongs that we play. Following on from the immense satisfaction of all participants on last year’s Gong Creation workshop in Yoprkshire we are once again collaborating with Ton and his wife Carolina Schomper. The workshop is open for all bookings and enquiries. All details are coming together and we invite you to secure your place by contacting us as soon as possible. Like last year, we invite you to write a letter of gratitude to 2018 and invite the elements of nature , Earth and Cosmos to co-create with us in communion vibrational fields of possibility for the year to come. The precise moment when the sun crosses the celestial equator and light and dark are in complete balance, nature moves into a place of stillness and receptivity, where a new impulse can be received. The precise moment of this occurrence is at 4.15pm GMT. So we would like to invite you to gather with us at this time to collectively be the energy and space, vibration and consciousness that invites and creates a possible reality beyond this one.. Beyond the extremes and polarisations occurring at this time – being the space of creation and support of the seeds and shoots, of an emerging energy of joy-filled collaboration with nature, the earth and all of life. Craft a Singing Bowl and Tubular Bell in the land of the Arthurian Legends. A five day workshop in and with the land of Copper and Tin Mining in the UK. enjoy the wider landscape for the sheer joy of exploration and embodiment!! at a still space Retreat Centre on the Atlantic Coast of Donegal. This is a 3, 7 or 11 day journey, beginning with a full three days of forging a singing bowl or bell. 3 day bowl workshop 1sr – 3rd june forging an instrument in co-creation with the thrum of the ancient land that we then take on the journey – visiting sites north and south of the border between Northern and Southern Ireland. We will be weaving between north and south – east and west – sounding the instruments in resonance and communion with the hum of the land – a bespoke tour to some of the special sites of this magical land as we meet beauty and wonders, weaving sound as we go. There is magic available as we open ourselves to this journey. A 3day residential camping retreat to craft your own singing bowl at a land based centre that works in harmony with nature and celebrates and nourishes life. A Collaborative Creation with our friends and mentors, Ton Akkermans and Carolina Schomper at the venue that has been supporting our work here in the north of England. This is a residential four days and nights dedicated to the forging and crafting of your own brass or bronze gong. This workshop is especially inviting those who have made a bowl or two with us or Ton in the past years and who really desire the experience of forging and crafting a larger instrument to carry these sounds further into their lives. The instruments are large and follow a different process of making to the bowls but it is desirable for the maker to have a foundation of working the metal as a singing bowl before undertaking the making of a gong. This residential retreat includes meals and camping on a private farm that overlooks the edge of the Fells. go to the Creation of Gongs page to find out more of the richness on offer. These two days will make it possible for you to make a set of small bells – tingsha bells, a tubular bell or a small bell or bowl up to 9cm diameter. We offer these two days as non- residential but it may be possible to stay over night on the farm in your own tent with your own food provision. Lunches will be supplied on both days. £225 Non-residential fee, includes drinks, snacks and lunches as well instructions and use of all tools. A small additional charge for camping will apply. To craft a bowl is to come towards the creation of a new vibrational possibility for yourself, for the Earth, for the whole. The impulse to come together over these three days is born out of an invitation to particpate in World Peace Day as it coincides with the Autumnal equinox. This year we’d love to invite you to join us by our cyber fireplace and in our Zoom Room as we share the writing of a letter and coming into the space of communion and gratitude with the Nature Beings of the Earth and Cosmos who would like to contribute to the year ahead. Through a Sound Weaving we invite the sound vibrations to build a morphic field that facilitates our greatest dreams – communion with a sustainable living Earth. A Space of Becoming and enter together into an attuned space. In communion with the Earth – A Symphony of Creating, Being and Becoming. We are moved to co-create the energy of communion with sound and the land of Avebury on Earth day and would love to invite you to join us in the stones for a couple of hours – where we weave sounds and attune with the stones, the land, nature and the cosmos – creating and being communion. If more of us would live in and from communion, what reality could we create? we are inviting you to a day of a field of being with our singing bowls, gongs and bells – attuning with our instruments at a deeper level, receiving them and creating with them – resounding the Earth..
To register go here or email directly. 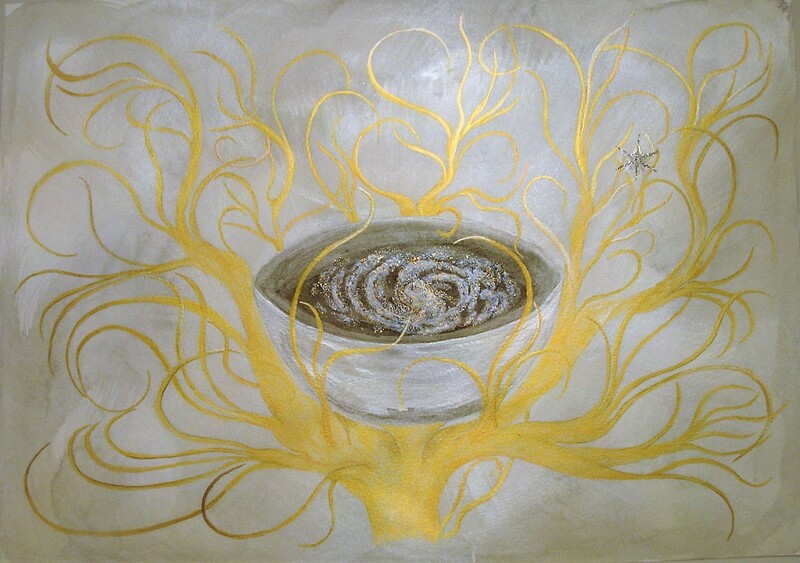 On the land of Eire, under the blessings of Brigid, Goddess of Healing, Poetry and Smithcraft, you are called to reconnect with the ancient tradition of crafting your own medicine bowl. The land is opening to share its heart with us. We enter more deeply into the magic of the unseen worlds as we co-create with the nature kingdoms of the green isle. This beautiful setting offers us a labyrinth and ancient caves. Wednesday 14th June 10am – 4.30pm Access Body Processes: A Day to learn two powerful body processes for vision and nerve regeneration. includes full tuition, lunches and snacks for the 3 days Friday – sunday. A non-refundable deposit of £75* will secure your place. Gabriella and Heather will give concerts, workshops and one to one sessions at the Earthdance festival, which is a beautiful camping retreat with amazing international artists at the lovely Clophill Centre. Follow the link above for more details. A contribution of £15 per person in invited to show your appreciations for the faciitation of this event. Come and join Gabriella Kapfer and Linda King in a weaving of sound and music gathering the strands of this summer, giving thanks for the fruits of the Earth. What invitation of resonance can we be and become to actualize what we dream of? If weather permits we can have a lammas fire in the evening – bring food to share for supper. Looking out over the Ardalanish Bay from Ardachy Hotel we will craft, we will centre, we will create a space where the song of the sea and the sound of Iona will bring us to a creation space of Resounding New Possibilities. In response to the demand for ever greater co-creatio n with the many Beings of Mull and the requests from those of you who asked… we asked and we opened to receive the response. At first it was a whisper that came in on the winds and waves of the cosmos … we searched wide and wondered and then there, in front of us was planted a gift. A door opened wide and in came a new energy – a voice and a presence that is clear, soft, fine, generous and on time. Inner Hebrides a week long residential Singing Bowl Making – a deepening and opening to the language of Energy…… fully residential for deeper immersion on the island of Mull in the Western isles of Scotland.